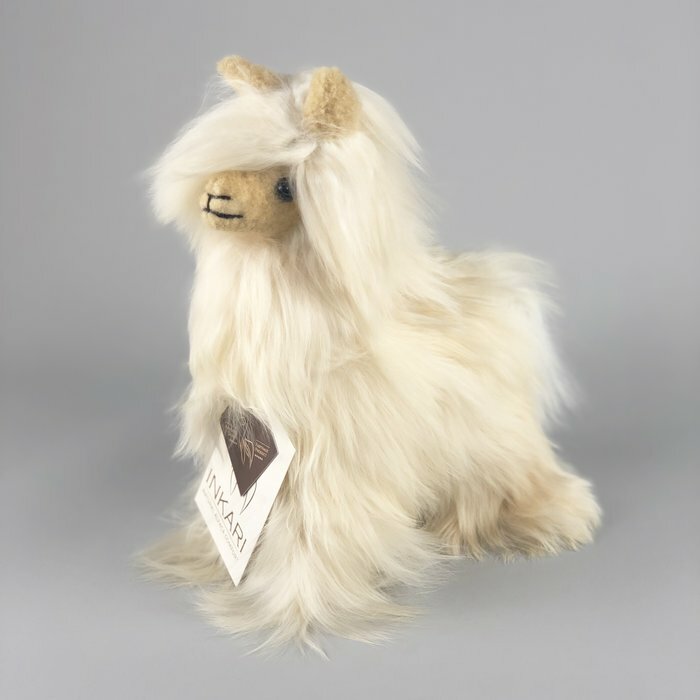 This beautiful little cuddly alpaca toy is handmade with deliciously soft alpacawol from Peru. 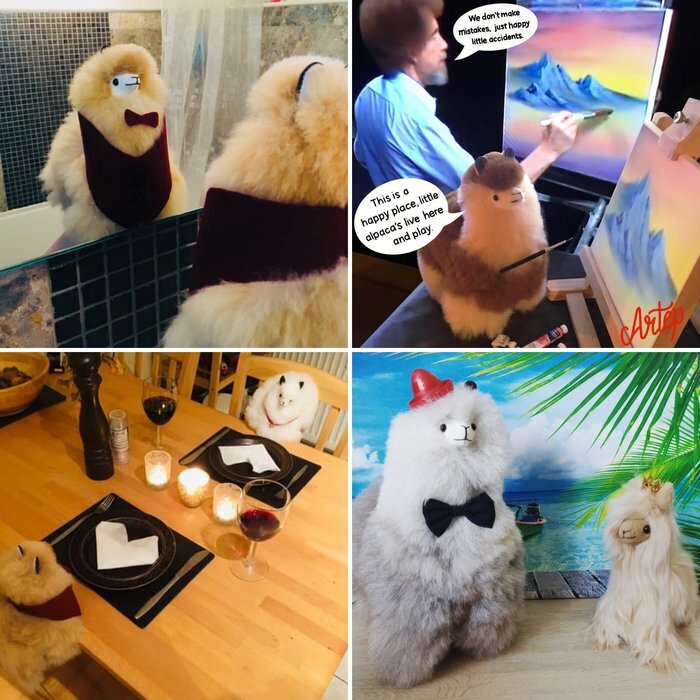 Alpaca toys are a fun, unique gift with a beautiful story. Everyone falls in love with this cute, unique treasure! 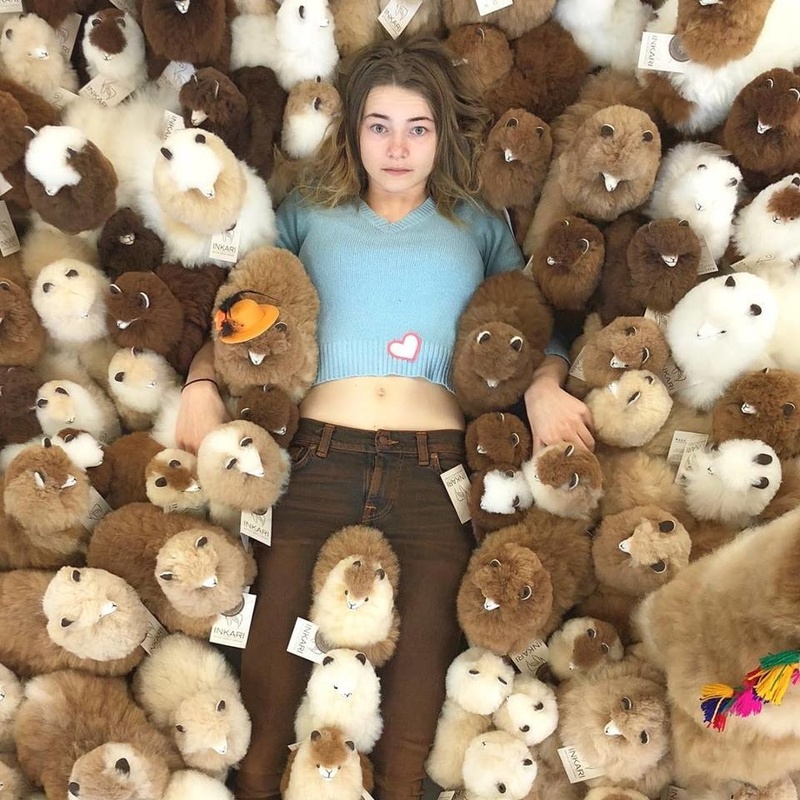 Surprise your (girl)friend with an alpaca toy and they will be forever grateful, really! 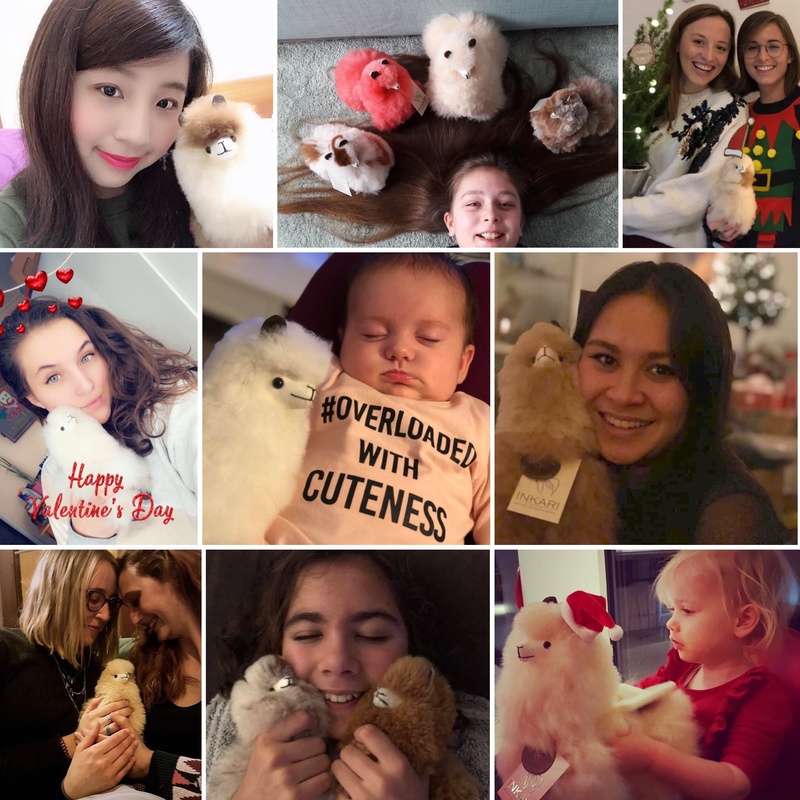 If you like to play with the alpacas endlessly or just chill on the couch and enjoy the fluffiness; alpacas are the perfect companions! Alpaca toys are also very nice to 'exhibit' at a special place in the house. You're gonna be having a lot of fun conversations, we can tell you that. 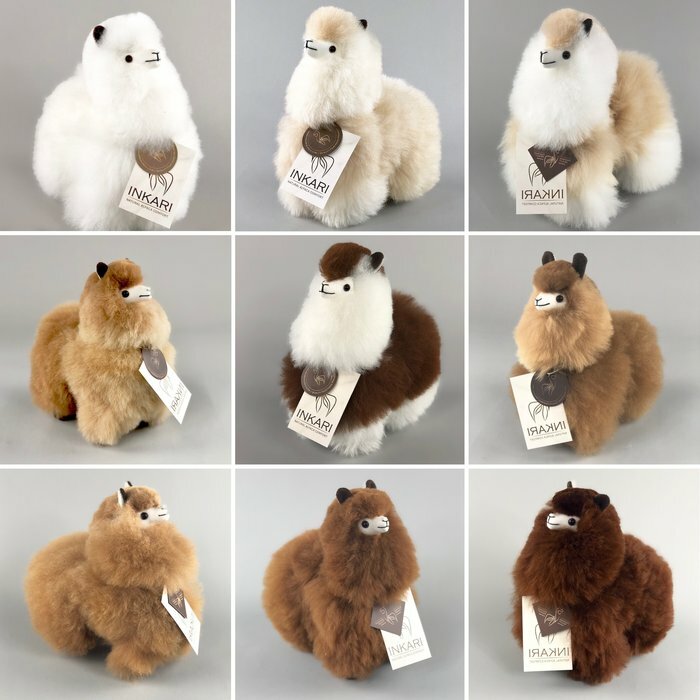 The alpaca toy is strong and high quality and will therefore remain a friend of the lucky owner for a long time. 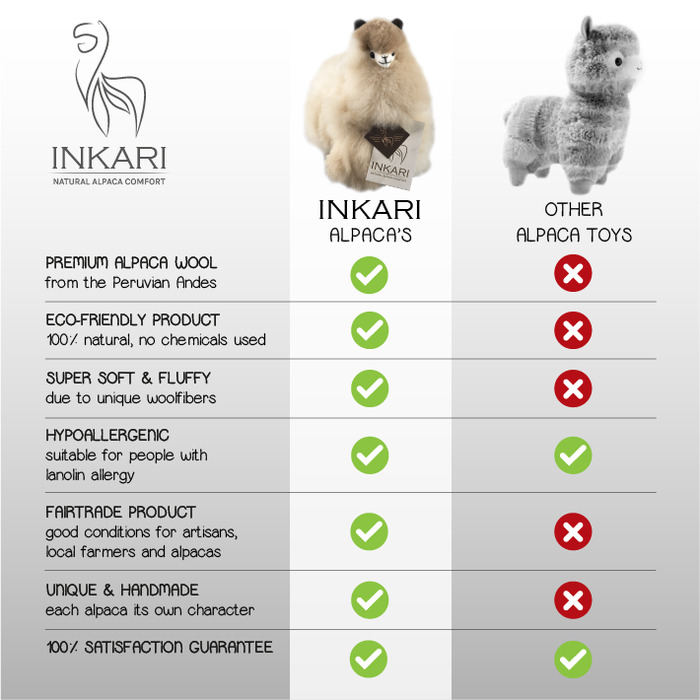 We even know alpaca toys with an age of more than 10 years! 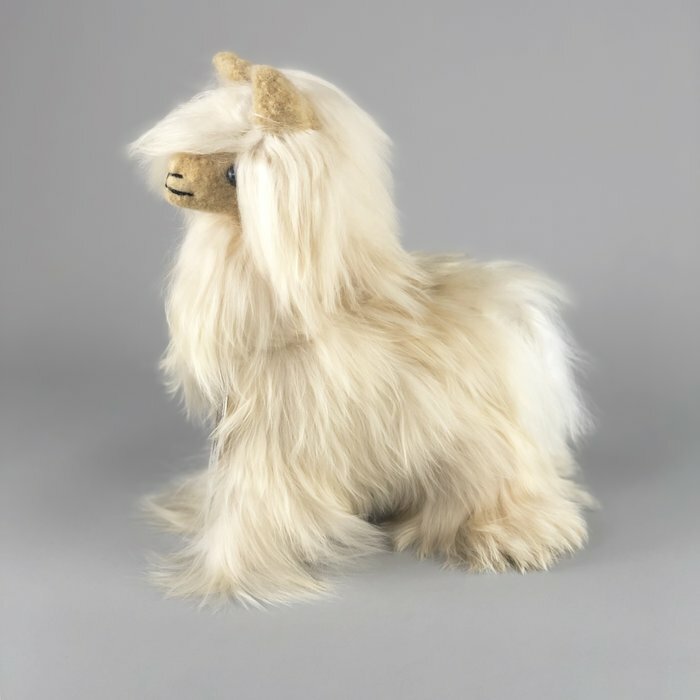 Alpaca wool is hypoallergenic, so it never itches on the skin. 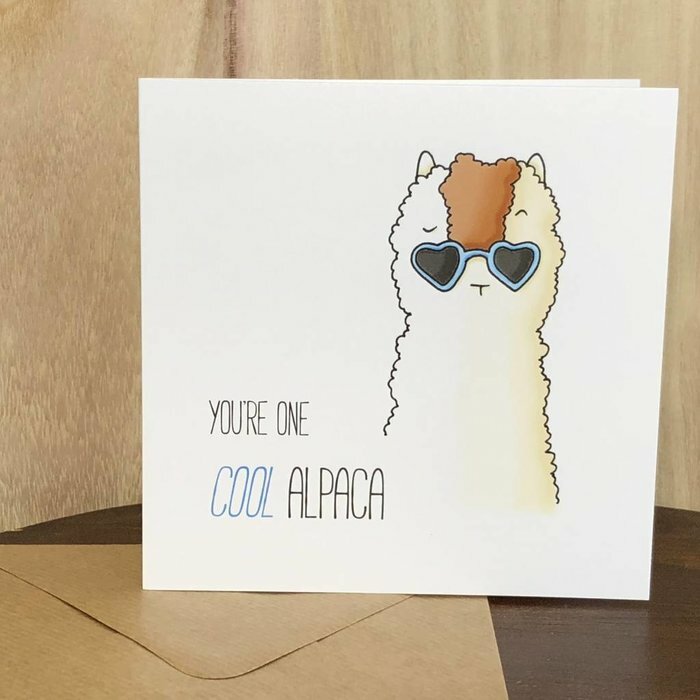 All our alpaca's are unique, handmade and natural products. The pictures and video give a very real color image of how the alpacas are. We hope you understand that in reality the color may differ a little bit because they are completely natural products. It will match the picture for 90-95%, so do not worry! Alpaca Toys: Easy to keep soft, fluffy and clean! 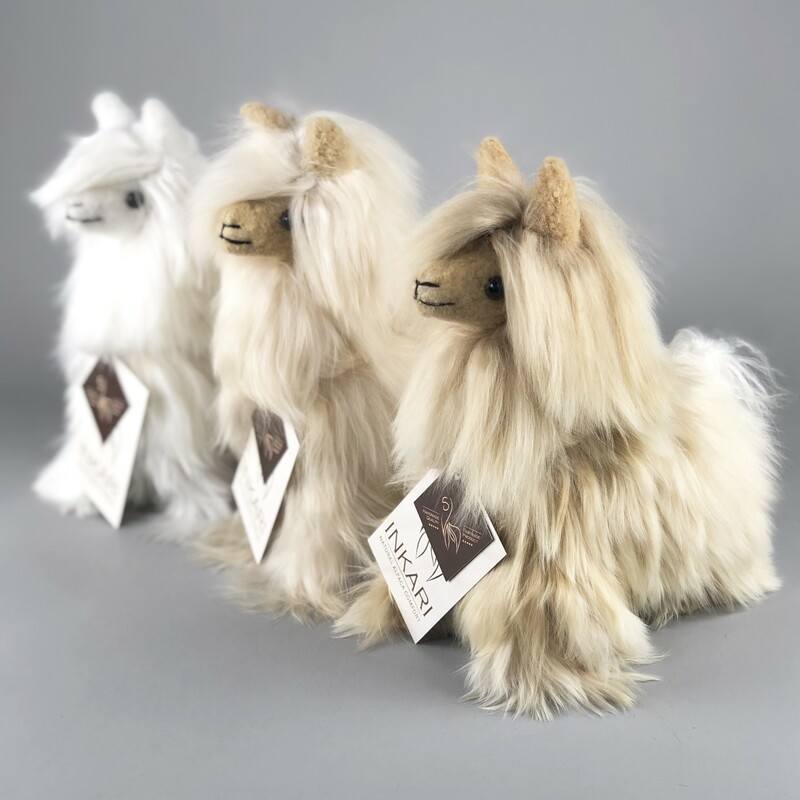 The alpaca toys are very easy to maintain and stay beautiful with a simple brush and talcum powder. 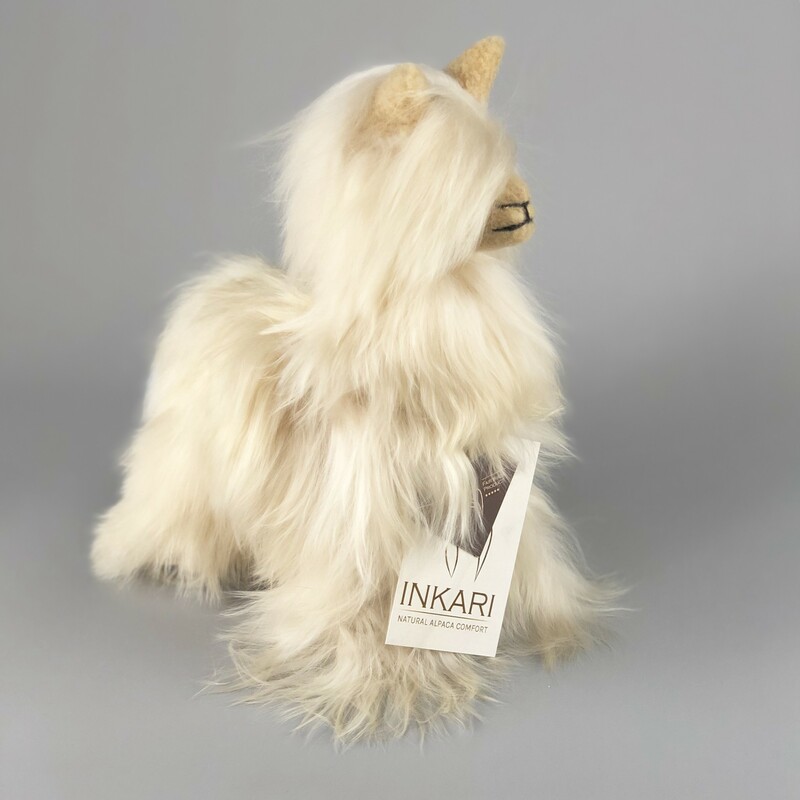 (See the brush here) If he is cuddled intensively and a little greasy or dirty, apply some firm brushing and you will be amazed with the results. 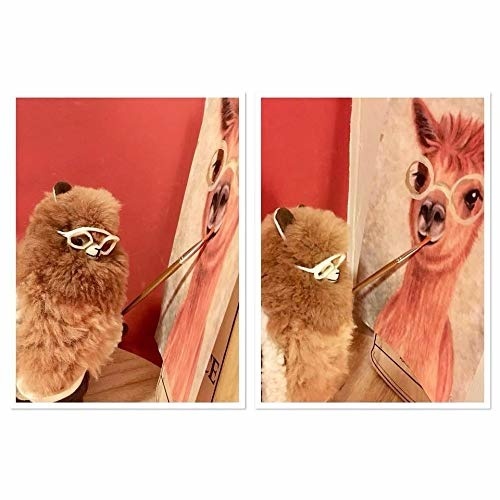 The alpaca will be as clean and soft as when you took it out of the box for the first time! Small alpaca toys are 23 cm tall and equipped with a deliciously soft thick woolen coat! Soft, fluffy and ready to cuddle with a new owner!